Minutely hazy golden amber color. Aromas of strawberry rhubarb pie, strawberry jam on toast, berry tea with cream, and berry lipstick with a satiny, vibrant, finely carbonated, dry-yet-fruity medium body and an interesting, medium-long wheat cracker, grilled oranges and strawberries finish. A fun strawberry beer to enjoy in summer. 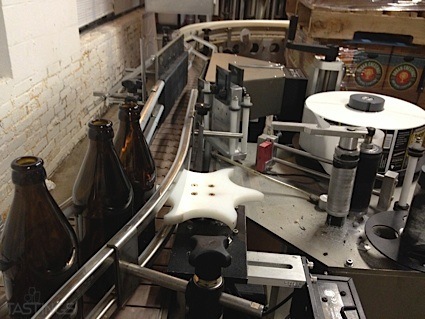 Bottom Line: A fun strawberry beer to enjoy in summer. 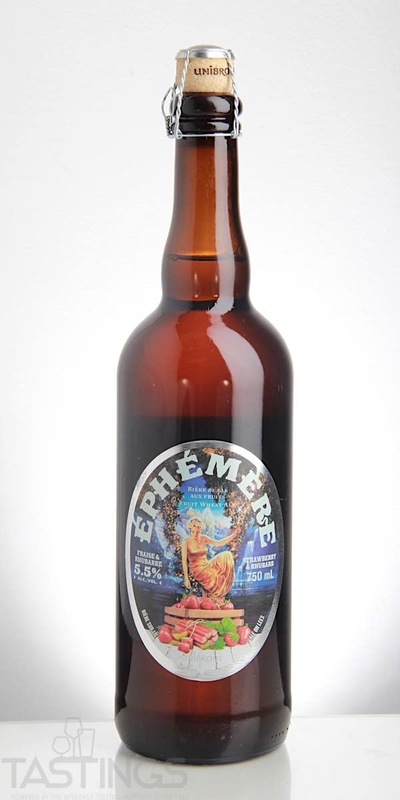 Unibroue Éphémère Fraise & Rhubarbe Flavored Wheat Ale rating was calculated by tastings.com to be 86 points out of 100 on 7/12/2018. Please note that MSRP may have changed since the date of our review.